Begin at the beginning - First of all, you must remove any object if it is still touching the exterior. Put all the tools, ladders, roof panels away that might be left lying around. After all, you do not want your garage to get strained with unnecessary weight. Also, sweep all the metal shavings that are left on the roof while drilling the holes. These shavings may cause rust on the roof because of their raw surface area. Trim the hedges - Prevent your steel garages from any undue contact. Otherwise, bushes and hedges will start growing against the wall of your building. As a result, there will be air blockage and it will encourage water clogging. This will ultimately lead to unwanted fungal attacks. It is therefore advisable to keep the hedges away from your steel garage. Remove snow - Too much of snow can exert a considerable amount of stress on the roof of the steel garages. Keep an eye on the amount of snow that gets collected on the roof and employ snow removal techniques immediately if the quantity seems to be increasing. Check the insulation - If your building is an insulated one, make sure that there is no exposure, damage or evidence of any moisture in it. In the presence of fissures; birds and other animals tend to dig holes in your building. Apart from the attack of pests, holes also lead to the presence of unwanted outside air. It results in water contamination. Due to the presence of moisture, it prevents the insulation from protecting the building. It then requires more amount of energy to either cool or heat the inner space. So, never let such problems prevail inside your steel garage. Wash it Iin and out - If you take care of your steel panels, they will last for a longer period of time. 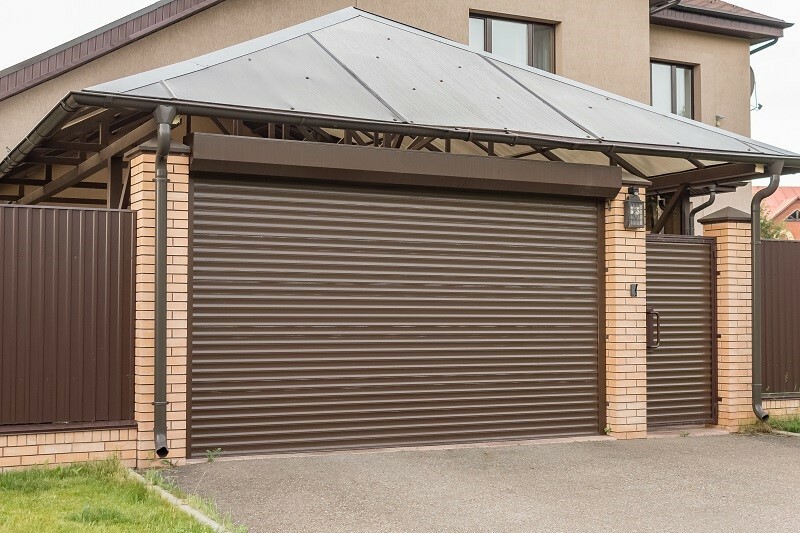 The benefit of a steel garage is that it seldom requires replacing because of its solid materials. So, the best way to encourage its well being is by washing it often. 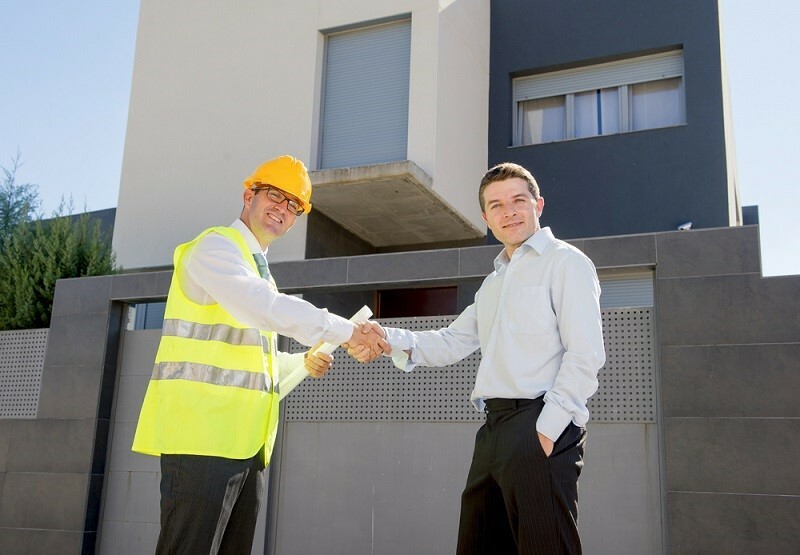 With the course of time, there is a huge accumulation of dust and dirt on the structure of your steel garage. If left untreated they will result in mold or rust. So, it is very important to wash your garage every now and then. Oil Door hinges - Check on the condition of the hinges of the door and ensure that they are well oiled. If you find any signs of damage quickly clean the area and disinfect the mold to prevent further damage. This applies to your windows and ventilators as well. Keep everything well lubricated. 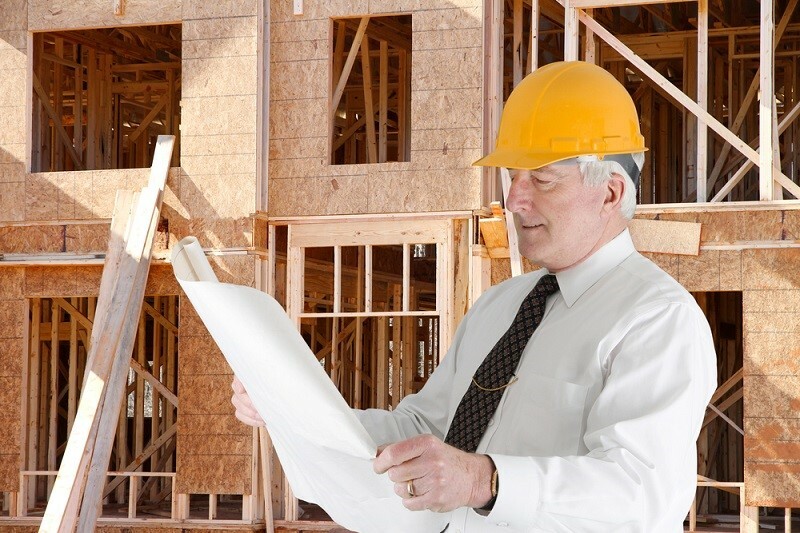 Thus, these are some of the tips to take care of your steel garages. Apart from this, you must also keep an eye on the gutters and drains near your garage and ensure they are neat and clean. 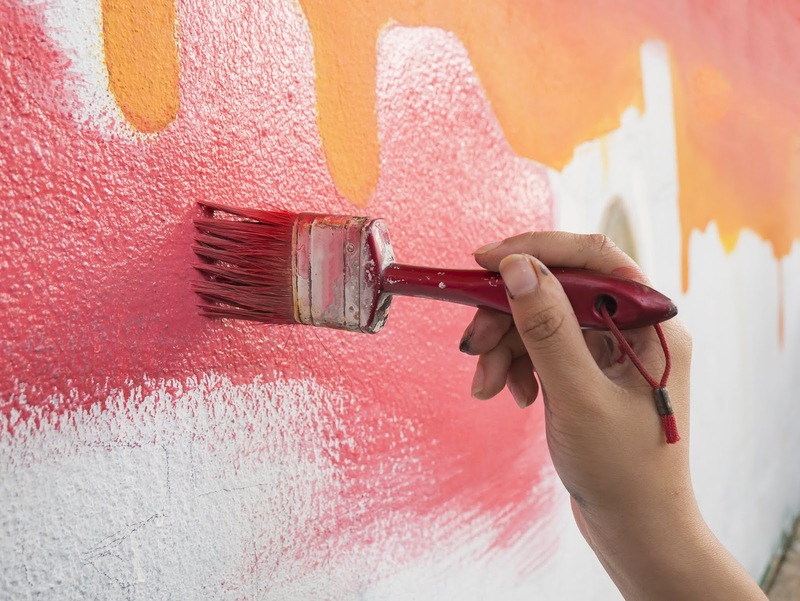 Also keep on giving your steel garages some touch up through painting to keep it well protected against moisture, pests and other such elements. Window treatments are a very important part of any interior design project, especially in a living room. Blinds and shades are the most popular choices for the majority of home owners. Shades, also called soft window treatments, are usually made from a piece or pieces of fabric that can offer a feeling of warmth and flowing. Blinds are hard window treatments consisting horizontal or vertical slates or vanes that tumble down the blind as its lowered or pulled across the window. When deciding between these two options, it’s all about what purpose you want your window treatments to serve. Below we have outlined our top factors that should influence your choice for the type of new window treatments. 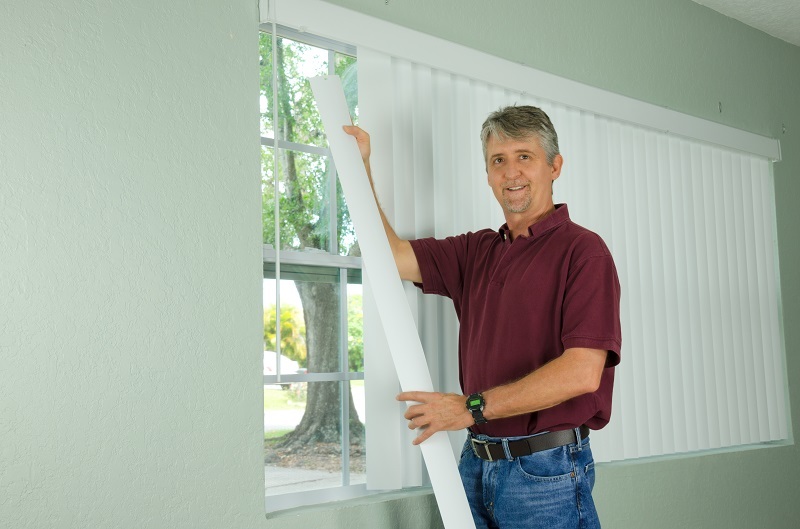 The installation process more often than not is fairly easy for both shades and blinds for a standard sized window. They are both usually mount based products With a few screws, brackets, and a drill your blinds can be installed hassle free. With larger windows or windows higher up, the process becomes slightly more complicated, but still follows the basic principles. Both products can also be professionally installed to not only make the installation process easier, but your window treatments often look better when handled by a professional. The most basic purpose of window treatments is to control outside light and give your room increased privacy. If you are looking to have more control on the amount of light that can enter your room, then blinds are typically your best bet. Blinds allow you to adjust the angle of the slates to change the amount of light which means you have more control. Shades on the other hand only have two settings up or down. You can however, choose the opacity of the material that is used in the shade. This choose not only can help with lighting but can also mean you can be granted additional privacy. If you also want to limit the amount of light in the room, shades also are a more effective way to reduce outside light. Blackout shades for example provides the ultimate privacy and light deduction options for any room. Blinds also offer a fair amount of privacy, but shades are the best option in terms of privacy. The question you need to ask yourself is how much privacy I want in this room and how much control of the amount of light enters the room do I want. In the battle of which product is cheaper blinds typically have the edge. Like any product though as you change up the style and material used you can expect changes in prices. The price of shades will change depending on the type of fabric is used while the price of blinds typically will change depending on the type of slates you want. However, if you are just looking for a basic model then blinds will most likely be the less expensive model compared to shades. Most people do not like cleaning their homes. We often strive to find products that will limit the time, effort, and cost of cleaning them. Blinds typically will be easier to clean than shades. The material used for the slates is often easy to wipe down with a duster. If your blinds have something spilled on them the stain can often be removed easily with a wet towel or wipe. Shades on the other hand can be more difficult to clean. If the fabric becomes stained a professional cleaner is often recommended to avoid damaging the product. This also means that cleaning them can become an expensive affair. In a heavily trafficked area such as your living room you can probably expect that these products will need to be kept clean and there is a higher likelihood of something being spilled on your window treatments. In the battle of cleaning, blinds take the edge. The materials used for blinds, wood, aluminum, mental, and plastic, is often more durable than the fabrics used in shades. If one of the blind’s slats become damaged it can usually be easily replaced without having to buy a whole new set of blinds. Shades on the other hand will often need to become fully replaced if they are torn or damaged. Since living rooms are often high traffic areas of any home and thus window treatments can easily become damaged in these areas blinds are typically recommended. For many homes, the living room is the central location where everyone spends the majority of their time. This means most people want this room to look amazing, especially when they are entertaining guests. 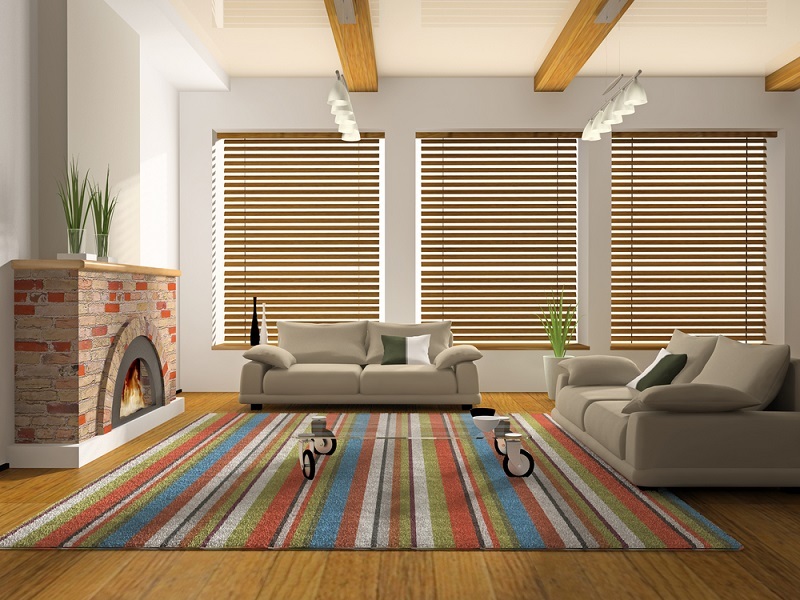 When choosing new window treatments, you should consider what will fit naturally with the overall style of the room. You should consider the furniture, lighting, structural features, the flooring, and a multitude of other internal design elements when picking out your window treatments. If you want the focus of the room to be on something specific, shades could be a better option since they are usually less distracting in a room. About the author: Chad is a design enthusiast who has taken his love for decorating to help people understand the nuances of style. Part of being a great host is creating a mood that’s warm and inviting. Does your house smell in a way that conveys the message of warmth, relaxation, and invitation to your guests? Fortunately, there are numerous essential oils with scents that will subtly fill your living space with a spa-like feeling. Below are some tips on how you can use these aromatic compounds around your home to lend a touch of sensory delight to guests. There’s no better way to make your home feel welcoming than spritzing fragrant essential oils that calm the spirits of your visitors from the moment they walk through the front door. Orange oil is an excellent option to use in your home’s entrance. This emotional uplifter contains limonene, a chemical that reduces anxiety, eases stress, and lowers heart rate. Lavender and cinnamon can also make your guests feel more relaxed immediately they walk into your home. The living room is often near the entryway. It’s the room that most people use to entertain guests. Fir needle essential oil is a great choice for the living room. It has a fresh, earthy scent that reconnects us with Mother Nature. When diffused, the oil stimulates the mind while relaxing the body. It’s also been associated with lower blood pressure. A citrus blend of grapefruit, lemon, and orange can also add an instant cheer to your living room. To get the most out of essential oils in the living room, make sure you use a diffuser that’s most appropriate for your space. For more information, visit Veranda-Interiors.com. Will you be having dinner guests? Take the time to make the dining room smell appetizing. You’ll want to use an essential oil that’s refreshing while also helping rev up your guests’ appetite. Bergamot and copaiba can achieve that without being distracting. Avoid strong scents like ginger and peppermint as they can overwhelm your guests and suppress their appetite or distract them from eating. Will a guest be staying overnight? You can transform the guest room with essential oils to fast-track him or her into slumberland. Frankincense is prized for its calming and meditative properties. The earthy scent grounds and prepares your guest for sleep. Cedarwood also improves the quality of sleep. You can make a bedtime meditation blend to be sprayed in your guest room by combining 10 drops of frankincense, 5 drops of myrrh, 3 drops of cedarwood, and a single drop of lemongrass. Lavender essential oil will also make your guest’s sleep more peaceful. You could add a drop of lavender to your hands, rub them together gently, and then slide them over your guest’s pillow. If you have a patio or deck, you’ll want the space to be as inviting and comfortable as possible for your guests to relax and enjoy themselves. Unfortunately, pet hair, bugs, and unpleasant smells can make the area less attractive. Luckily, essential oils can come to your aid. Citronella, for instance, will improve the mood of your guests while keeping insects at bay. 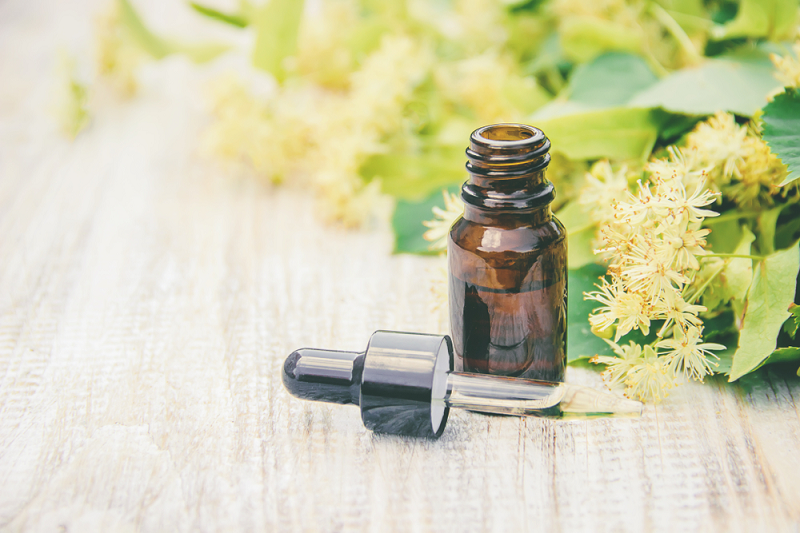 Fir needle oil can be useful in urban settings as its smell connects your guests to nature and helps them relax. If your outdoor cushions are musty due to being used by your furry family members or because they’ve been in storage for long, freshen them up with lavender oil. You can eliminate other undesirable odors by spraying the cushions with a mixture of vodka and a few lavender drops. The vodka neutralizes foul smells while the lavender oil adds a welcoming fragrance that your guests are sure to appreciate. As if that’s not enough, lavender also keeps your guests safe from bug bites. For more information, visit NewHealthAdvisor.com. Essential oils create a warm, inviting, and relaxing environment for houseguests. Don’t be surprised if some of your visitors look forward to coming to your home due to the subtle, memorable fragrances. Flooring pays an important part in enhancing the aesthetic value of your house or office. A clean and dirt-free floor will always attract your guest to step inside your house. If you are planning to renovate your house or office, consider using hardwood flooring as they look exceptionally attractive with traditional as well as contemporary interiors. Such kind of flooring not only looks appealing but also has various benefits. #1. 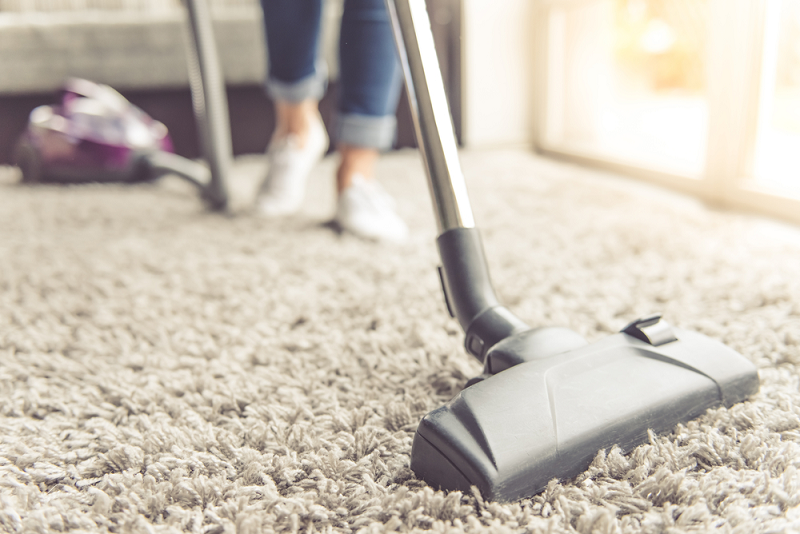 Low maintenance: It’s extremely easy to maintain the hardwood floor when compared to a carpet, all you need to do is to vacuum and use a damp mop to clean it. Dirt and stains don’t hold off on wood when compared to carpets and it’s also extremely easy to clean wooden flooring than carpets. If you find any dirt or spill in your hardwood floors, you can simply wipe it up easily. #2. Health benefits: Wooden floorings are easy to clean when compared to carpets. Carpets hold dust, germs, air dander, pollens, hairs etc. which can cause severe health problems. Dirty carpet hampers the quality of the air in the house which can cause respiratory problems. 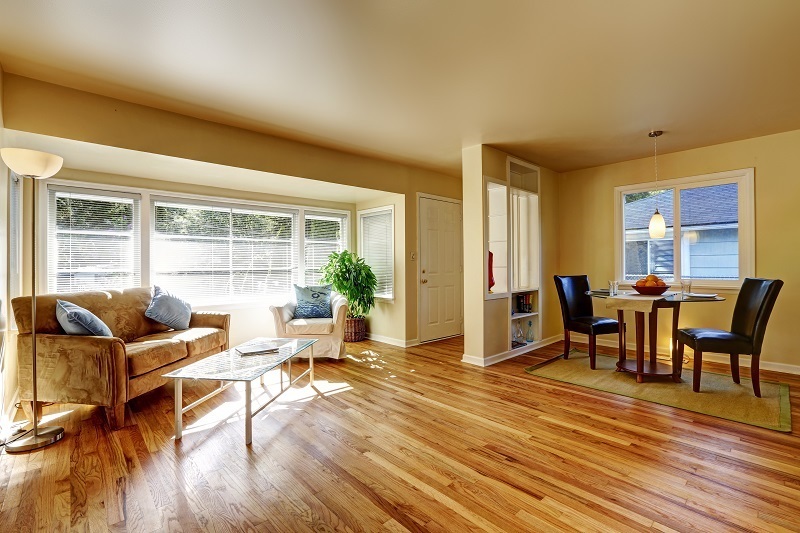 Wooden flooring does not hold any dirt, animal dander, pollen or other common allergens when compared to carpets, thus allowing you to breathe clean air. Such kind of flooring has grout lines and embossing which allows dust to settle down and prevents us to suffer from dust allergies. #3. Durability: Tiles, marbles, granites etc. are prone to scratches, dents and damages but it’s not the case with hardwood flooring as they are strong and resistant to damages. If you take good and proper care of your hardwood floors, its hard surface will last for decades. #4. Undeniable Beauty: Wooden floorings surely add an extra touch to the overall look of the house. As the flooring is made up of wood, the natural patterns can be adapted to almost every interior design in your home. 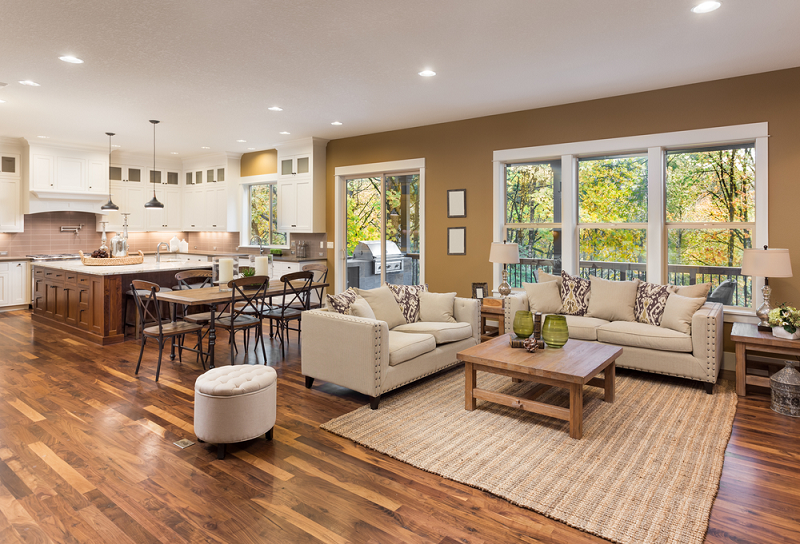 Hardwood floors are also versatile as the natural patterns of the wood and color are not the same every time, thus making the flooring look different in different houses. #5. Value addition: Developers and real estate agents agree that house or commercial offices installed with hardwood floorings are easier to sell because it not only adds appealing look but it’s also easy to maintain. Installing hardwood floors at your house and office is like an investment and it’s really advisable to protect such investments by taking care of it in a proper way. With proper care you will be able to enjoy the look and feel of the wooden flooring for a longer period of time. It is always recommended to read the manufacturer’s instructions on maintenance and cleaning very carefully in order to maintain its color, look and finish. Use soft materials for wiping: While sweeping such kind of flooring ensure that you use a soft broom as it will protect it from getting any scratches. In case of any spills on the floor, use a dry mop or a towel to wipe the area. Remember that wooden flooring is resistant to stains, so it’s not recommended to use wet mops or cloth to clean the spills. Avoid using detergents: The use of soaps, detergents etc. should be avoided as you don’t want to make the flooring extremely slippery. Make use of products which are specially made to clean such kind of floorings. Keep out rain water: Water may ruin the finish of the hardwood and can also stick deep into the wood to create stain. Therefore, when you are expecting rain, it is better to close all the doors and windows and wipe up any water you see. Use extra-long doormat: While maintaining your hardwood flooring, your first responsibility is to keep the dirt out of your home. For this, you should get longer doormat because it will allow people to rub their footwear more while they will walk in to your home. Hard flooring will last longer than any other type of flooring if they are maintained properly. Many people are of the perception that wooden floorings are costly but it’s not the case, such kind of floorings are available in various price brackets and remember that it’s an investment. You can reap the benefits of the wooden floorings in terms of low maintenance and appealing look for a longer period of time.